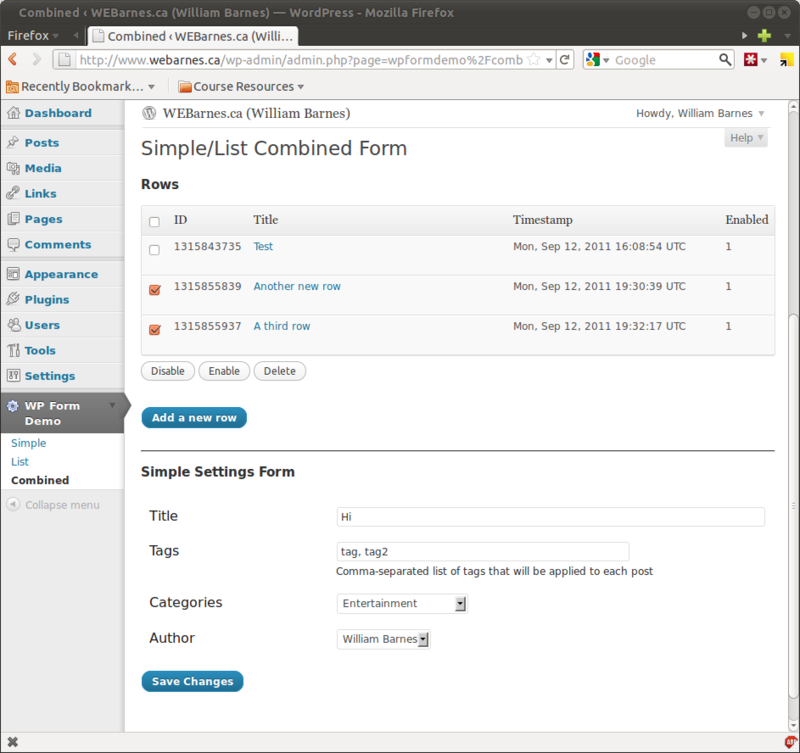 I am currently writing my first WordPress plugin. I attempted to use the Settings API on my plugin’s settings page, but found it was a little cumbersome. So I wrote a helper to cut down the number of functions I needed to define. My plan was originally to simply automate the API calls, but it quickly outgrew the Settings API and does quite a bit more. 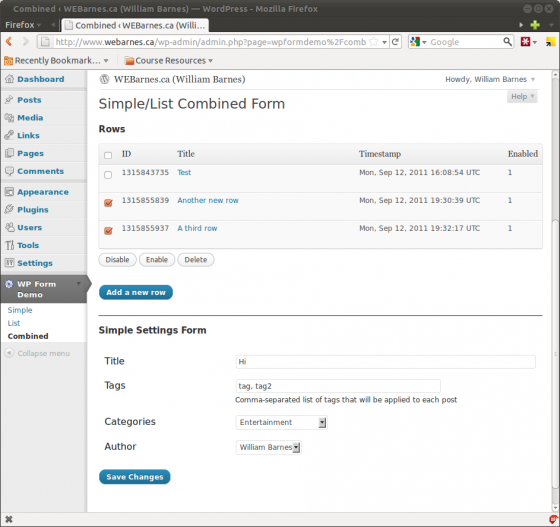 I am posting it, hoping that it will be of use to some other plugin developers. The class handles form creation, display of options, security (wpnonce, back-end validation), and storage. I am a 25 year-old law student and programmer. My interests include criminal law, technology, and logic.